Need a laugh? 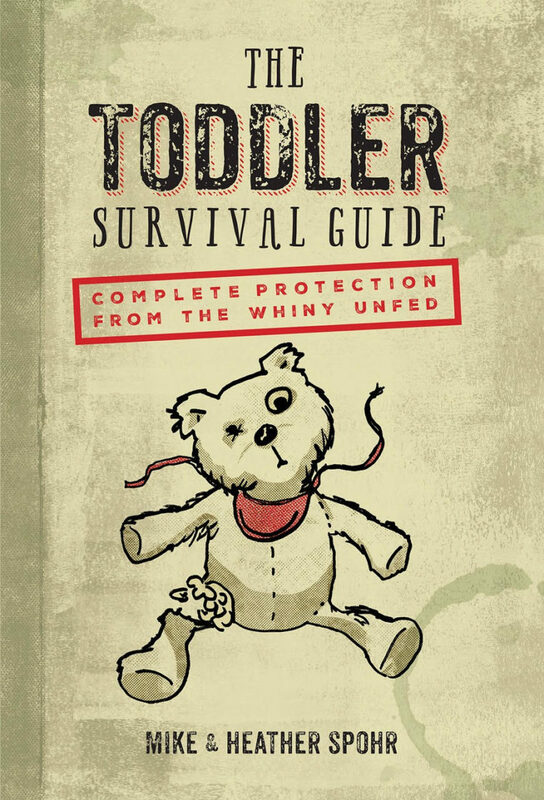 Put your eyeballs on this fun excerpt about how toddlers and zombies are alike from The Toddler Survival Guide by Mike Spohr and Heather Spohr. They’ve both studied toddlers up-close in their natural habitat! They clumsily trail after you everywhere you go, communicate mainly through groans, and — upon entering your life — leave you frazzled, on edge, and deeply sleep deprived. 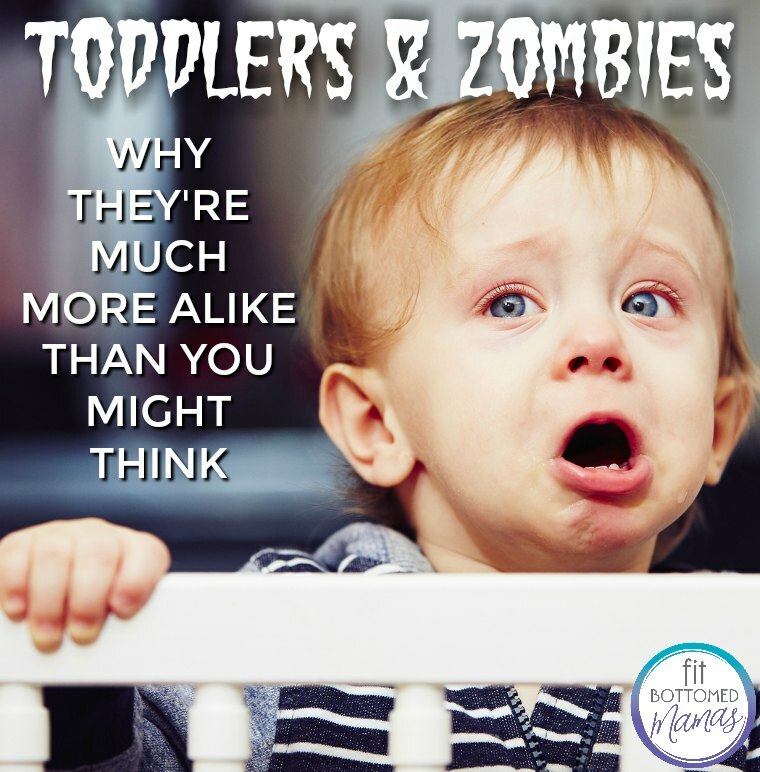 We’re talking, of course, about toddlers, but you’d be forgiven for assuming we meant zombies. It may be hard for new parents to realize, but their sweetly cooing baby will soon transition into (at least at times) something straight out of a horror film. The good news is that some of the most successful tactics for surviving a zombie apocalypse can also help you survive life with a toddler. Gather supplies. When you see zombies lurching toward you in all directions, you’d better have supplies ready to go — like a weapon and backpack full of rations and tools — or your time will be short. For the parent of a toddler, getting caught without supplies can be almost as disastrous. Not having an emergency snack when your toddler whines “I’m hungry” in the middle of a pew at church, or a change of clothes when they have an accident that soils their outfit (and yours), will be a mistake you only make once. Prepare your home. You’ll want to barricade your windows and knock down any stairs to give yourself a fighting chance during a zombie attack. Likewise, you will need to ready your home for a toddler invasion. Mount your TV to the wall (or secure it with a TV anchor), babyproof, well, everything, and remove anything scalable, because toddlers will climb anything they can with absolutely no care for self-preservation. Yikes! Always know where they are. Fail to keep tabs on where the zombies are during a zombie apocalypse, and your frontal lobe is sure to become a snack for the walking dead. That won’t happen if you temporarily lose sight of your toddler, but you might lose your mind because an unwatched toddler only needs a minute to go full Picasso on your walls, pull every last petal off of your roses, or do even worse! Team up with a group of survivors. Zombie survivalists generally recommend traveling in a pack of eight to ten people so you can work together to find food, shelter, and most importantly, fight off zombies. Similarly, trying to outlast a toddler invasion by yourself is a big mistake. You’ll want to assemble a team of people you can trust for support, like family members, daycare workers/babysitters, and especially other toddler parents (who feel your pain and will keep you sane). Be in shape. Keeping up on your cardio is key when you need to outrun hordes of ravenous zombies, but it’s also important for parents. Toddlers, with their hourly tantrums and constant need for supervision, can exhaust a parent long before bedtime. Get knocked off your game for even a minute and your toddler will get the upper hand, and once you lose the upper hand your toddler has won. Yes, it’s hard to find the time, but even 30 minutes of cardio a day can help keep a parent up to the task of toddler keeping. And lastly, parents should be pleased to know there are survival tactics that work on toddlers that absolutely do not work on zombies. While zombies can only be satiated by human brains, you can render a rampaging toddler docile with a string cheese or applesauce pouch. And while showering a zombie with affection is a surefire way to get yourself infected, giving your clumsy, drooling, zombie-like toddler lots of hugs and kisses will keep them healthy and happy, so don’t be afraid to dole out the love!